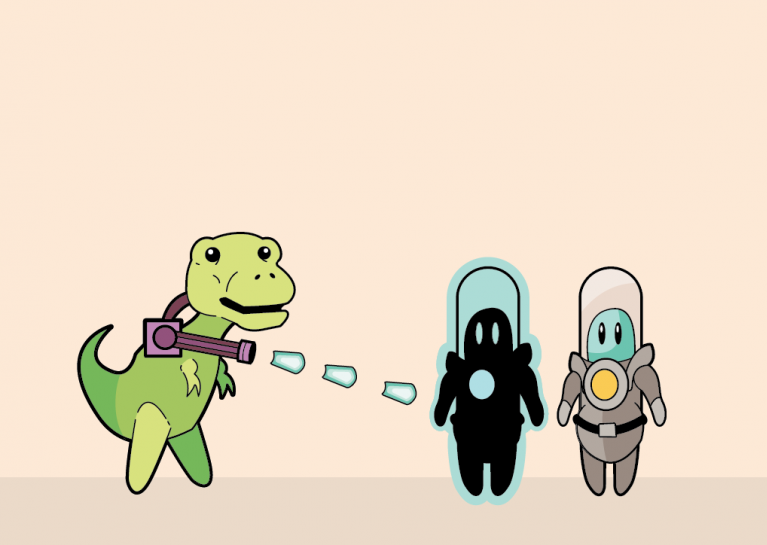 Living The Nerd Life — Astrosaurus Escape! Aliens have abducted an unsuspecting T-Rex and armed him with a deadly laser weapon. But now the tables have turned, and the dino is making his escape, destroying anything that gets in his way! The poor aliens now ask themselves, "What do we do now?!" From the St. Louis Game Jam! This is a quick view of the progress we have made the 1st day. Rule 1 of a Game Jam have a proto type before you leave the first night! This is what the game looks like when we left the 2nd night. We added in the graphics. Follow our Instagram and Twitter channels to make sure you are up today with all the latest game news we have! Follow @ryzn on instagram to get all the latest updates. Check out the #stlgamejam to see what everyone is making. Follow @iamryzn on twitter to real time updates.